DREAMS DO COME TRUE! Amazing 5.02 acres of breathtaking beauty and wildlife! Natural gas NOT propane with well and septic. The mature trees bordering this property and the view of water and marshes with wild life, Ready for horses and/or a hobby farm, Horse Barn, 10 x 16 shed,ALL equipped w/water & electric! Pole Barn too with attic storage, electric heater,This fabulously updated walkout ranch features 10'ceilings in Great Rm with fireplace and marble surround, new flooring throughout . Contemporary new bright gourmet galley kitchen with enormous storage dbl drawers, new stainless appliances, new door walls leading to the private patio, Fin. 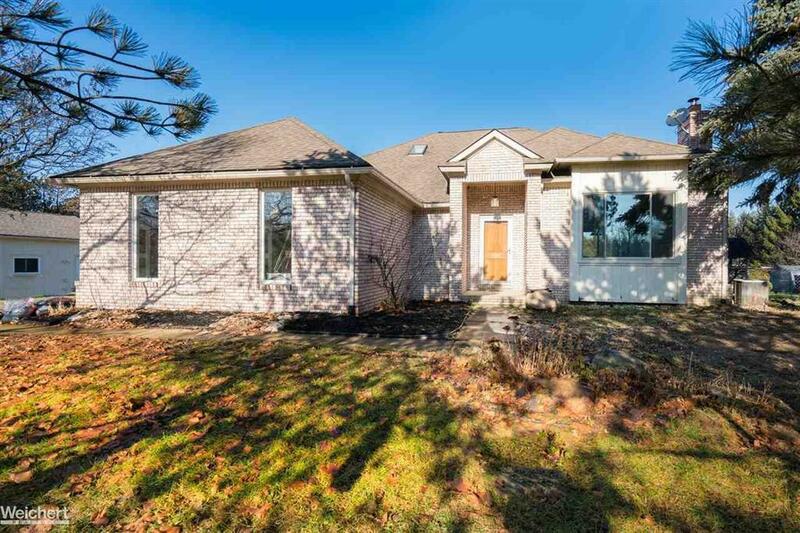 walkout lower level features 2nd kit with large pantry, full bath , this one has too many features to list,if privacy and serenity is what your looking for you have found it,bring your deposit check you'll need it! !